IntermediateEasy to perform; requires some basic training in microbiology. Students explore the effects of environmental change on the regulation of gene expression. A gene involved in producing a red pigment is turned on (expressed) at room temperature, causing the bacteria to appear red. It is turned off (not expressed) at 37° C, causing the bacteria to appear white. 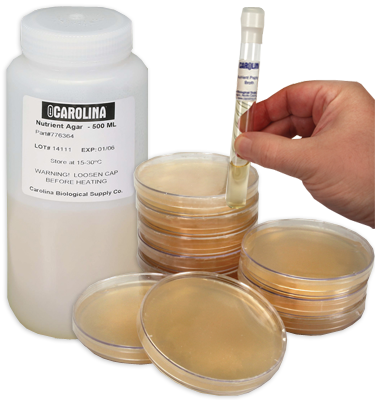 Note:Keep bacteria culture at room temperature; do not incubate or refrigerate.